I asked myself that question when a VERY unforeseen twist took place within the pages of Life After. I've read a couple of novels by Katie Ganshert, and one of the main reasons I'm drawn to her writing style is that A) She doesn't mind getting gritty dirty with her characters and B) Her character development is phenomenal. You feel what they are thinking and saying. You think about their life and then remind yourself that they are just fictional characters. Twenty-Two lives are lost during a train explosion. One sole survivor find herself deeply steeped in both survivor's guilt and a desperate need to know everything there is about the victim's (former) lives. Then, when her life takes an unexpected tangle with a victim's husband she is completely unprepared for the emotions and web of deceit she will soon face. 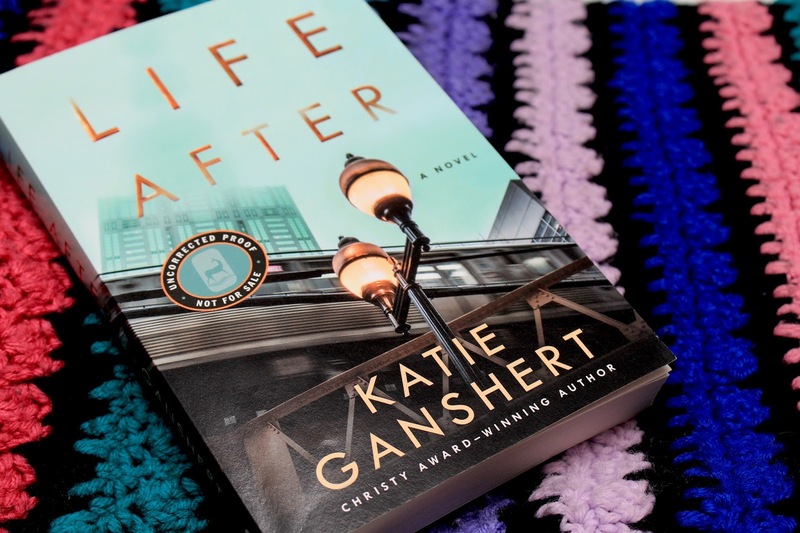 A million thanks to Waterbrook Press for allowing me the privilege of reviewing "Life After" by Katie Ganshert. All opinions are mine.